An I beam was inserted into the structure in order to remove a column. Removing the column improved site lines from the seating area to the stage. The beam is 39" deep and weighs over 350 pounds per foot, the coffee table weighs approximately 1200 pounds. A remnant (cut off) from the beam was rescued and repurposed as a coffee table. 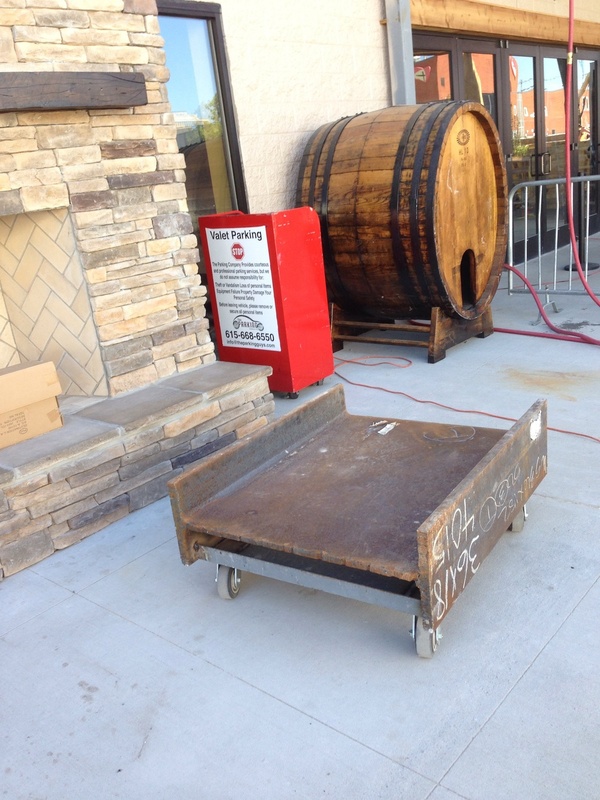 Industrial casters were welded to the beam and make it possible to move the 1200 pound coffee table around the outdoor dining area.